Medical malpractice is a negligent act by a doctor, physician, nurse, technician, dentist, hospital or other healthcare providers which deviates from accepted standards of medical practice and which causes injury to a patient. Victims of medical malpractice range from improperly delivered babies to adults treated with unnecessary or damaging medical procedures. Reference to the cost of additional treatment to correct the issues for the patient, loss of current or future wages as a result of the negligent malpractice as well as pain and suffering. The intent of compensatory damages is to compensate the injured individual so that they are better off then they were before the accident occurred. Reference to the damages awarded when medical malpractice is proven to be the result reckless, willful and negligent behavior by the practicing healthcare professional. The intent of punitive damages is to punish the healthcare professional for negligent behavior. When a medical malpractice case is believed to be a result of negligent behavior on the part of the practicing physician or healthcare provider, there are many possible categories of concern. One must first consider whether or not the medical procedure was in fact needed for the medical condition for what is was being offered to help. There have been many instances in which the surgery conducted on a patient was the wrong procedure or in some cases no surgery was needed at all. Misinterpretations of preliminary testing and findings can be to blame for many of these unfortunate situations. In these situations, medical malpractice has taken place. nurse administers the wrong medication. In New York, medical malpractice lawsuits must be filed within two and a half years of the date of the act or health care omission that gave resulted in the injury. For medical malpractice lawsuits dealing with the presence of a foreign object within the body of a patient, the action must be filed within one year of the date that the foreign object was forgotten or should have been discovered. 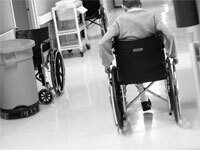 Stephen Bilkis & Associates are experienced New York Medical Malpractice attorneys. If you or a loved one has been injured by medical malpractice, call us immediately at 800.696.9529 or contact us online for a free consultation.